By tracing products from their origins with Intertek, and monitoring safety, quality and quantity at every stage of the supply chain, you can guarantee your customers get the best. The most visible way to demonstrate your commitment to traceability is through a recognised certification programme. Our continuity of expertise makes us one of the few companies in the world with the capability to offer complete supply chain certification. In fact, some of the most recognised schemes we offer are dependant on a complete supply chain approach. Our Integrated Food Management System (IFMS) offers an agile solution to the food industry by deploying an in-depth risk-oriented monitoring plan and effective traceability process throughout the supply chain. IFMS works by introducing a series of preventative measures such as unannounced inspection and auditing, as well as specially designed sampling and testing procedures. It addresses the challenges of today's food industry by offering innovative methods to identify and prevent risks to consumer health and increase confidence. With over 1,000 laboratories and offices in over 100 countries worldwide, we offer genuinely global supply chain solutions. Our leading inspection, supervision, testing and auditing services can be integrated to guarantee the safety, quality and integrity of production and distribution methods. However complex, we have the expertise, experience and global presence to help you manage your supply chain from source to supermarket. As your Supply Chain Management partner we can supervise the entire operation, securing product safety and quality and implementing full traceability. We recommend managing the whole supply chain as the most effective form of Supply Chain Management, but we can also manage specific segments, including areas identified as being particularly at risk. A step on from standard supply chain management, our Identity Preservation (IP) service tracks raw agricultural ingredients to guarantee that they are produced, transported and stored without contamination. This level of surveillance is mandatory for products certified as fare trade, organic, non-GMO, sustainably sourced or any product where provenance is a primary claim. We take care of every link in the supply chain, ensuring that the appropriate supervision, sampling and inspection processes are implemented and that products are traceable from source to supermarket. Our Identity Preservation services safeguard the provenance of products by ensuring that the raw materials are from their claimed origins, and that they are produced, transported and stored without contamination. While many of our clients use our services for premium products like cocoa, coffee and cotton, we can supervise supply chains for all types of high value agricultural products. Intertek provides analytical services to detect meat species including traces of horsemeat. The adulteration of food products with unauthorised meat content, including horsemeat and pig DNA, has triggered the recall of products from the supermarket shelves and challenged consumer confidence of well-known brand reputations. Intertek understands that this problem stems from incorrect traceability and/or labelling of food products, and with our global network of food laboratories we can provide analytical services to detect traces of species contaminates including horsemeat and pig. As a leading provider of testing services to the global food and agricultural industry, we can also help you implement comprehensive food safety and quality strategies, and achieve compliance with local, national and international regulations. Intertek is an accredited MSC chain of custody (CoC) certifier with clients in restaurant, retail, processing, wholesale and food service sectors. Understanding your needs is part of our business. The MSC chain of custody (CoC) certification provides assurance of traceability of fish carrying the MSC logo back to the certified fishery. Giving you the competitive edge in the marketplace, providing buyers assurance of well-managed and sustainable sources, with an internationally recognised, distinctive blue logo placed on your products. As a long established global leader in food safety, we offer a full range of seafood services in inspection, testing, auditing, certification and training. We work with you to support your unique operation, offering services from the fish farms and trawlers all the way through packaging to the supermarket shelves. We offer comprehensive Genetically Modified Organisms (GMO) Testing and Certification services for food and feed, as well as a certification programme to verify GMO free production. With more than 20 state-of-the-art food testing laboratories located around the world, we have expertise and facilities where you need them. We use the latest methods and technology so you can be sure of fast turnaround times and accurate test results that demonstrate compliance with statutory requirements. As well as GMO testing, our world-class specialists are engaged in ongoing research and development to understand, and develop testing procedures for new and emerging GMOs. Complementing our testing and detection services, our industry recognised non-GMO certification programme can help you verify that your processes and products are entirely GMO free. GLOBALG.A.P is an internationally accepted, integrated standard for sustainable food production, covering every aspect from production processes, to animal welfare, to worker health and safety. To match the global scope of the programme, we have experts all over the world with the knowledge and experience needed to help you achieve certification. As an accredited GLOBALG.A.P. certification body, we can support you through training, pre-audit assessment, final audit and follow up assessments. Because it’s a globally accepted integrated standard, adopting GlobalG.A.P saves you dealing with numerous different audits. The RSPO Supply Chain Certification Standard was developed to ensure that supply chains are secure and traceable in order to provide credible evidence of sustainable sources. Intertek offers Supply Chain Certification along the agricultural and food value chain at all stages including refining, trading, manufacturing and distribution of palm products. We facilitate you to improve your product reliability and to minimise your business risk. Palm oil is the most widely used vegetable oil and a common ingredient found globally in many food and personal care products. Due to the growing populations and demand for products, the need for palm oil has never been higher and is forecast to increase. Palm oil products may go through many production and logistical stages between the grower and the end-product and can be traded through different supply chain mechanisms that are approved by RSPO or MSPO. We offer support services to match the global scale of today’s supply chain. Based in Geneva, our Agricultural Global Agricultural Commodity Centre is staffed 24/7, 365 days a year by experienced professionals with extensive industry knowledge, ready to support and coordinate our supply chain management services all over the world. 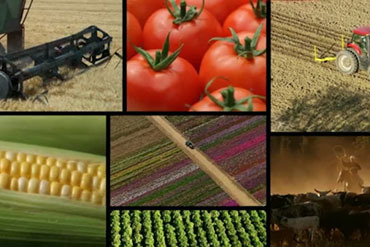 The Intertek global agricultural commodity inspection and coordination team in Geneva is staffed by experienced professionals with comprehensive knowledge of the industry and the required experience in loss control, helping protect client interests. Intertek Agricultural certificates of quality and quantity are recognised and honoured worldwide in global trade. Visit Roundtable Sustainable Palm Oil (RSPO) to find out more details. Visit Malaysian Sustainable Palm Oil (MSPO) to find out more details.